I’ve rarely played a game that brings me as much joy as Fez managed to, nor found one that could challenge me on levels that I wasn’t expecting. If you own an Xbox, you owe it to yourself to play one of the finest XBLA titles available and one that will probably see a few votes for Game of the Year when everything is said and done. Overhyping a project can be a kiss of death in many instances. It can be almost impossible to live up to folks’ lofty expectations if they go unchecked for long enough. Fez seemingly had the perfect storm for this situation. 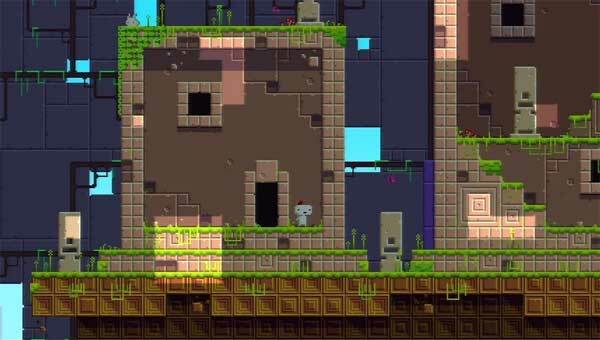 Announced back in 2007 and slated for a 2010 release, Fez received an incredible amount of praise and attention, despite an onslaught of delays including two Independent Game Festival awards. All of this occurred before the finished product ever saw the light of day. Now the question is; after all of the hype and all of the delays, can Fez rise up to meet the expectations? Or are we simply demanding too much from the game? You play as Gomez, a vaguely humanoid ball of white fluff who lives in a two-dimensional world. The town you live in is filled with similar inhabitants who insist that the world is only 2D and cubes cannot exist. Our hero is granted a magical fez that allows him to do the seemingly impossible: turn his 2D world into a three-dimensional landscape. This is where Fez gets interesting. The world is filled with platforming puzzles that can only be solved by cleverly altering the perspective to better suit the path you need to take. You only see a 2D representation of the landscape. However, at any time, you can spin the level around you revealing the other three sides. Even though Gomez has recently learned that the world is much more than the 2D plane he knew, he himself is still a 2D sprite and that’s what makes this mechanic work so well. The world will “flatten” itself every time you alter the perspective, allowing Gomez to interact with what is perceived as a new 2D landscape. Players are tasked with constantly spinning the environment around Gomez to find a standard 2D platforming path, adding a fun puzzle mechanic to the game. For instance, what may be an impossible jump to make from one perspective could be a simple hop or even a straight path for Gomez to walk across from another. While at the time this mechanic was very original, it’s been aped over the years by other projects. One might say that it’s very similar to the Escher-esque illusions found in Echochrome. 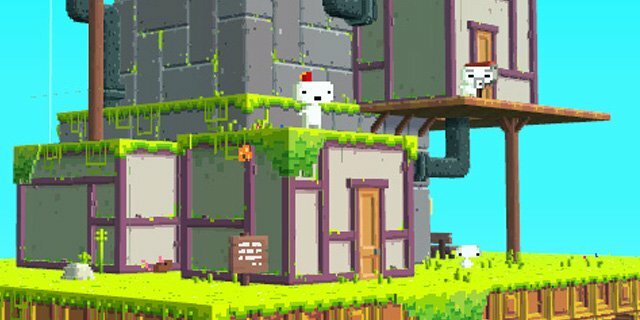 However, Fez does a fantastic job of forcing you to think in three dimensions while only being allowed to approach two. The world itself is fairly expansive and the paths often branch out in new directions, even intersecting with each other once in a blue moon. While it seems extremely daunting trying to remember how to get from point A to point B with everything branching out as far as it does, the map system found in Fez does a great job of keeping you on point. Not only will it help you find the fastest way around, but it will also let you know if you’ve missed anything in a certain area. Don’t mistake this for the game holding your hand, however. Just because you know that something is in that room doesn’t mean you’ll have any clue on how to find it. While you’re making your way across the Fez universe, you’re going to be tasked with collecting golden cubes that are scattered throughout its designs. You’ll need to collect 32 in order to finish the game, but most of them can be found by collecting 8 cube “Bits” that will form a full cube. In order to unlock new areas, you’ll have to collect a certain amount of cubes to open new doors. While this is a fairly straightforward affair on its own, there are an additional 32 “Negative Cubes” hidden throughout the world. These “Negative Cubes” are often extremely well hidden, sometimes to the point of frustration. Gomez is followed around with by a little talking cube that will occasionally offer hints and clues on what’s going on, but more often than not he seems just as lost as you are. Every puzzle can be solved, and often I was flabbergasted with the simplicity of an answer I had spent hours trying to figure out. Perhaps the best part of Fez is the secret world you can find in the game. The most incredible part of Fez is that Polytron has created a believable world that you will feel like a visitor in. As you’re hunting down cubes, you’ll undoubtedly start to notice weird gibberish on the walls, or in conversation with the few other characters in the game. While it’s easy to dismiss this as just a strange art decision, it’s much more than that. Polytron has created an entire new language for you to discover and often hints on how to solve puzzles through it. Every symbol means something, be it a direction, a button to press, or a letter in the alphabet. I was able to find one in-game machine to help me crack a few of the symbols, but others were left up to me. This level of attention to detail is unparalleled in indie games and forced me to do something I haven’t done in over a decade: take notes. I found myself jotting down patterns and trying to translate them so I could eventually figure out the entire alphabet, and the longer I played, the easier it became to translate what I was finding. I had essentially started to learn a brand new language altogether by playing Fez; something I can’t ever recall doing in another game. You certainly don’t need to do any of this to finish the game; however, in order to get that elusive 100% and secret ending, you may find yourself turning to the stones looking for any clue that could help you. The soundtrack really stands out and could be a contender for the best of the year. 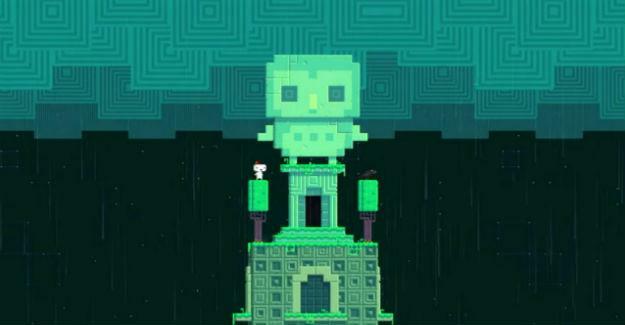 Fez stays true to its 8-bit influences with a fully synthesized score that seems like a modern take on classic themes. The music simply oozes with “retro” goodness while keeping in line with what’s going on. There are no driving guitar solos or generic hooks; Fez instead prefers to keep a mysterious tone in its music. The tracks vary from open to surreal, invoking a tone perfect for exploration to crunchy crescendos that reward you for a job well done. Composer Richard Vreeland has really outdone himself here. The entire soundtrack can be purchased here for 7 bucks, and I’m not ashamed to admit it’s been making regular rounds on my iPod’s rotation since I found it. Sadly, Fez isn’t without its flaws. Gomez can be a bit hard to control, something that is a real problem with a platformer. Aiming Gomez while in the air can be extremely taxing, leading to a few cheap deaths. Luckily, there is no penalty for death so you’ll just be teleported back to where your last solid footing was. As a result, this doesn’t end up being a huge deal in the long run. Many players have been running into bugs during their play through. Although I never encountered any, they’re still worth bringing up. While many of them are fairly minor, there are a few where you can get stuck in walls forcing a restart. Polytron has promised there’s a patch on the way (last time we reached out here at We Got This Covered, we were told we could expect it mid-May,) but that many not provide solace for many players. 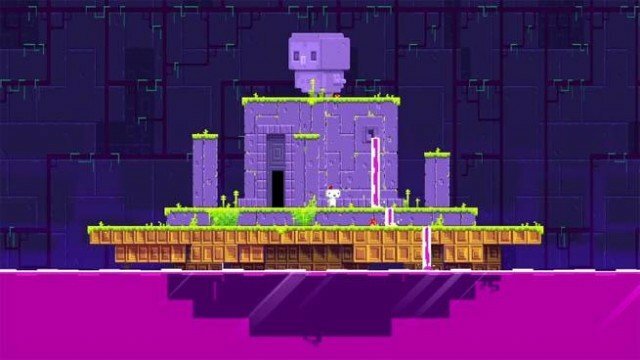 To compound the aggravation, Fez has a few fourth-wall breaking moments which simulate glitches at first glance, so it may take a few moments to figure out if you’re simply advancing in the game or if you’ve bugged it out completely. 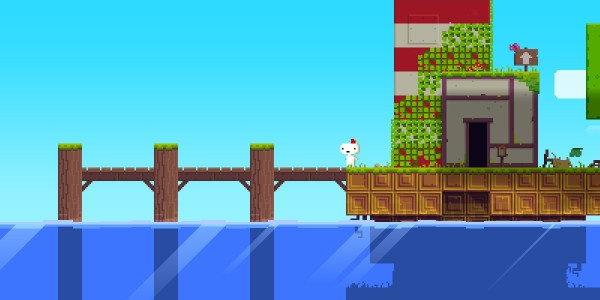 It’s almost inconceivable that any game could live up to the hype that Fez had. 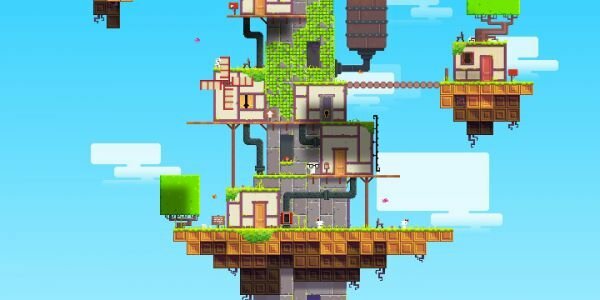 After five years of development, two Independent Game Festival awards, and spotlight time in Indie Game: The Movie, Fez has had to live up to an incredible standard. I’m pleased to say that it not only lives up to that hype, but arguably surpasses it. I’ve rarely played a game that brings me as much joy as Fez managed to, nor found one that could challenge me on levels I wasn’t expecting. If you own an Xbox, you owe it to yourself to play one of the finest XBLA titles available, and one that will probably see a few votes for Game of the Year when everything is said and done. My only regret is that I can’t play it for the first time all over again.